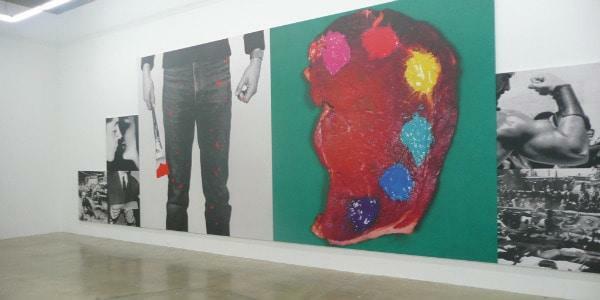 A powerfully impressive art collection in Miami, is the Rubell Family Art Collection. It impacts visitors in many ways with it’s works of contemporary art. Owner Don Rubell has been known to talk about how he believes all artists are contemporary in their own time, for none are born already masters of their craft. Using Rembrandt as an example, Rubell notes that many old masters had early works that were better received and eventually more lasting than some of their later works. While the old masters are often popular and enduring favorites, those observations by Rubell can certainly pique some interesting thought about what is perceived as contemporary art. Located in Miami’s Design District in a fortress-looking warehouse once owned by the Drug Enforcement Agency, the Rubell Family Art Collection boasts more than 1,000 modern works of art at any given time. From cutting-edge artists such as Jean-Michel Basquiat, Keith Haring and Cindy Sherman to some classic pieces by Andy Warhol and Jeff Koons, this collection is unique and varied. Owners Don and Mera Rubell have said that every show at the Rubell Family Art Collection is part of their personally owned art collection that the family has been amassing for over 46 years. These days, daughter Jennifer and son Jason do most of the running of the family’s collection. The gallery of exhibits at The Rubell Family Art Collection changes the featured art twice a year, adding many new works of art as well as exhibiting many contemporary favorites. In addition to the impressive displays of art, the gallery offers a seasonal program of lectures and performances by well-known artists in the field of modern art. This gallery is a visitor’s attraction as well as an artist’s resource. The Rubell Family Art Collection exhibit has special summer time hours for their one hour guided tours on Tuesday and Friday afternoons at 3pm.